This recipe for Spiralized Cucumber Salad was sponsored by Ling Ling, all opinions are mine. Going vegetarian once a week is something we try to do in our family, it’s always interesting to come up with new recipes and ideas. This recipe for Spiralized Cucumber Salad utilizes spiralized cucumbers and the bright flavor of seasoned rice vinegar to give the mild cucumbers a refreshing burst of flavor. 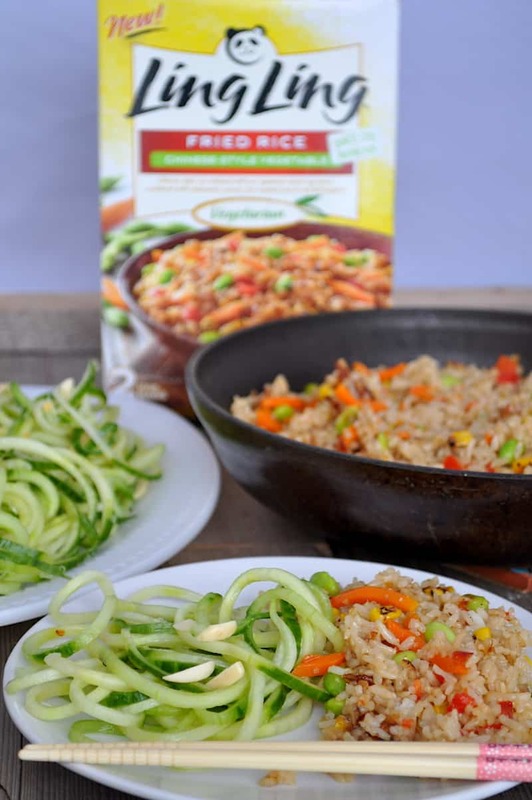 The salad pairs perfectly with Chinese Style Vegetable Fried Rice from Ling Ling and rounds out a flavorful vegetarian meal that satisfies everyone. If you don’t have a spiralizer, no big deal, read on about how to make this Spiralized Cucumber Salad without one. I’ve tried to go vegetarian once a week on and off for a long time. I think it’s a fine way to find to expand our palates and discover new foods. Usually I fall back to my old vegetarian standby, beans. 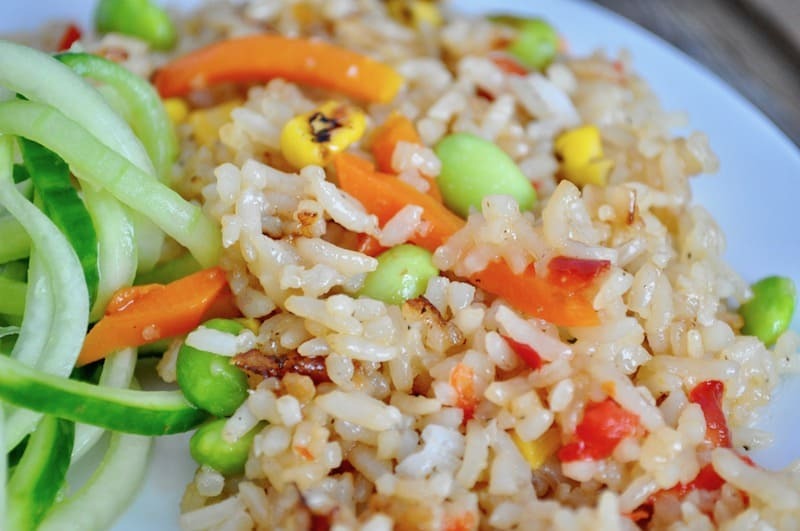 But I recently discovered Chinese Style Vegetable Fried Rice from Ling Ling and knew I could make a vegetarian meal out of it by adding a delicious salad alongside the fried rice. 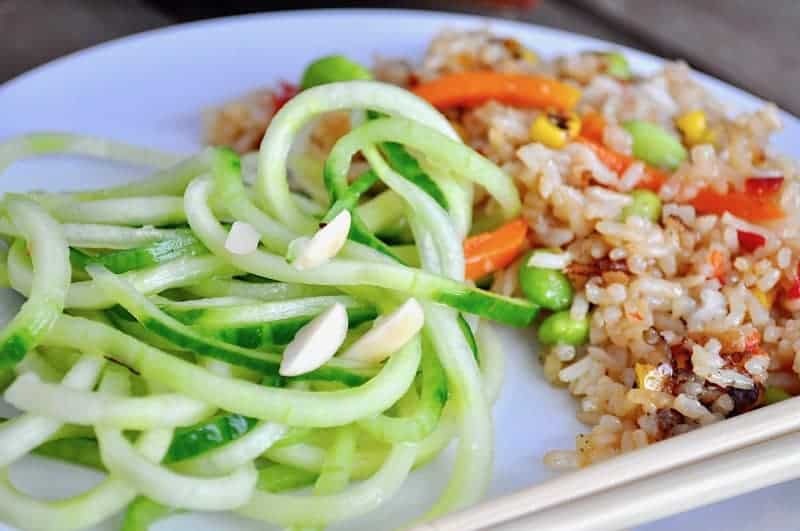 This Spiralized Cucumber Salad was a fresh, crisp side for the perfectly seasoned fried rice. Do you Spiralize? Try this spiralizer recipe! I’ve had a spiralizer for my KitchenAid for quite a while now and I just don’t use it enough. But I did pull it out to make cucumber noodles for this dish. If you don’t HAVE a spiralizer you can simply slice your cucumbers into very thin slices are the salad will work just fine. The only thing I wouldn’t do with this salad is to add salt. If you add salt it will become a watery mess, so note to self don’t salt this salad. 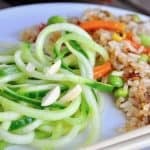 This Spiralized Cucumber Salad came together in the time it took for the Chinese Style Vegetable Fried Rice to cook on the stove. That means this meal was literally done in under 15 minutes. The perfect meal when you’re in a hurry. If you’re interested in other quick cooking Asian Inspired frozen meals be sure to check out the other Ling Ling products. And I have even have a coupon for 2 dollars off an entree so now you can save money on dinner too! Need some ideas to use that coupon code? Check out Ling Ling on Facebook or Twitter.  And if you’re looking for a store near you find them listed on their website. Now then let’s get down to giving away goodies! Here’s a giveaway for 5 ONE HUNDRED DOLLAR GIFT CARDS to Walmart. 5 lucky winners, will you be one?!? I hope so! Enter below and good luck. You’ve got until March 6th to enter. Entered thank you for the opportunity! Do you love the KitchenAid Spiralizer? I need the scoop. 🙂 The drunken noodles sound like just my thing! I do like it–but it feels a little over engineered for the job–I guess if you’re doing it potatoes it would be great too and they’re trying to cover their bases! Overall I own it so I like it! I’m excited about the chicken yakisoba I break the up and eat as snacks when hunting or berry picking.